Direct Vapor Coupons are at your disposal to save even more on already hugely discounted vapes and e liquids. Coupons for leading vapor brands such as SMOK, Kangertech and Vaporesso for example, are available. Prices for Direct Vapor vaping products couldn’t be more fair. However, these coupons will help you save on all Direct Vapor products. So, saving with Direct Vapor Coupons is something everyone can easily do, it’s fast and is just like using all other online coupons. Direct Vapor offers some of the best pricing across the entire vapor industry. So, know that when you buy from Direct Vapor – you’re most likely getting the very best price available online. However, when using Direct Vapor Coupons, it couldn’t be more important that you understand a few things first. Check out our list of Direct Vapor Coupons below. We’ll be providing you with additional information as you shop Direct Vapor later in our Buyer’s Guide. Save on your entire Direct Vapor order 24/7. Save Up to 20% on the Vape of the Week. Save Up to 50% w/ Direct Vapor Deals & Discounts. Save Up to 80% w/ Direct Vapor Clearance Sales. Get Free Shipping w/ No Minimum Purchase. First Auto-Ship = 10% Off Entire Order. In order to use your Direct Vapor Coupon, you first need to locate the item(s) you’d like to purchase. For example, when buying e liquid, you’ll be presented with a number of options to choose from. For instance, Direct Vapor offers a huge array of various e liquid brands and flavors. You’ll choose options for bottle size, nicotine content and pg/vg ratios as examples. Most commonly, you’ll be presented with bottle size choices of 100 mL, 60 mL and 30 mL. It’s noteworthy however, that the following sizes are also available depending on the brand and or flavor: 5 mL, 15 mL, 20 mL, 75 mL, 80 mL, 90 mL, 120 mL, 180 mL, 240 mL and 300 mL. Secondly, choices of PG/VG rations such as the following are available to choose from: 50/50, 70/30, 30/70, 25/75, 60/40, 40/60, 20/80 and MAX VG. Thirdly, the most commonly available nicotine strengths are: 0 mg, 3 mg, 6 mg and 12 mg.
Fourthly, you’ll just choose the quantity of bottles that you want. Note that often times you’ll receive a discount for purchasing multiple bottles. Before checking out, you’ll be presented with the option of either signing in or creating a new account. Finally, you’ll be able to enter a Direct Vapor Coupon code on the checkout page. Note that your partner level coupons will be auto-added during the checkout process. Also, it’s worth mentioning that in addition to Direct Vapor Coupon savings, you can save money on purchases and earn free products by signing up for their newsletter. Importantly, even more savings can be had by opting into the auto-delivery program. 10% off your entire order when signing up for the newsletter. 10% off first auto-ship order. 5% off all auto-ship orders following 10% off the first. Direct Vapor accounts are free and easy to create to receive discounts and track your auto-shipments for example. 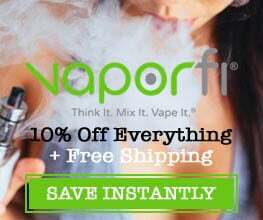 If you’re not one who likes to signup for newsletters or auto-shipments, feel free to use our partner level Direct Vapor Coupon. This coupon is good to use at anytime on any order without signing up for anything at all. By clicking on our exclusive Direct Vapor Coupon at the top of this page, you’ll automatically receive 12% off your entire order. Upon choosing one of the Direct Vapor Coupons at the top of this page, you’ll be presented with a new Direct Vapor tab in your browser. This discount will automatically be applied during checkout. In fact, you can verify the discount on the right hand side of the screen when checking out. What is The Best Way to Save on Direct Vapor E Liquid? The absolute best way to save on Direct Vapor e liquid is to view the ‘vape deals’ page. Here’ you’ll find essentially clearance products. Often times, you’ll find e liquid discounts as much as 50% off. Outside of clearance sales, the best way to save is to use our coupons and buy in bulk. Again, Direct Vapor coupons are automatically added to your cart after clicking them. Very rarely, Direct Vapor will actually feature a code that you’ll manually enter during checkout. A huge number of e liquid brands and flavors are available to choose from. In addition to the vast selection are the individual options you’ll be confronted with. For starters, you’ll need to decide what bottle size you want. For instance, the following are bottle sizes to choose from: 5 mL, 15 mL, 20 mL, 30 mL, 60 mL, 75 mL, 80 mL, 90 mL, 100 mL, 120 mL, 180 mL, 240 mL and 300 mL. So, as you can see, there are a huge amount of sizes to choose from. Therefore, you’ll save 26% by purchasing the 60 mL option as opposed to the 30 mL size. After comparing 100 mL to the 60 mL, you see a savings of 19% when opting for the larger size. Similarly, Direct Vapor features huge savings for bundle deals. You can see savings of up to 50% when choosing an e liquid bundle pack. Direct Vapor has simplified your shopping experience by offering only quality and easy to understand e liquids, devices and accessories. E liquid clones, like many other items found on-line are actually a problem. People and or business who are trying to ‘make a buck’, will latch onto a successful e liquid brand and or flavor and replicate a clone of it. Direct Vapor however, has a strict ‘No Clone Zone’ policy regarding every single one of their e liquid offerings. DV does currently offer e liquids with acetyl propionyl (AP) and diacetyl, but they identify which products are free of these contents so you can make informed decisions. Firstly, it’s extremely difficult to find any online vape shop that offers the selection and low prices that Direct Vapor does. 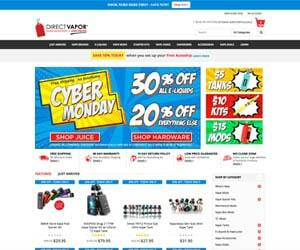 Secondly, Direct Vapor offers free shipping on every single order with zero minimum order amount required. Thirdly, unlike every single other online vape shop, Direct Vapor offers a Low Price Guarantee. Lastly, Direct Vapor is an American business – which we of course, love. If you like trying a number of different e liquid brand and flavors, there is no better place to shop. Direct Vapors e liquid selection is the absolute best we’ve come across. If you want to know what the latest and trending e liquids are, check out DV’s lineup. It changes every single day, as the new top sellers in the world are added. While DV features a huge range of advanced vape devices and parts, it’s certainly noteworthy that plenty of starter kits are available as well. Many of your favorite brands can be found on DV including but not limited to SMOK, Vaporesso, Kangertech, Innokin, Snowolf, Geek Vape and Joyetech. Just be sure to purchase plenty of atomizers for whatever amazing starter kit you decide to go with. Looking for an amazing high performance vape mod or interested in sub-ohm vaping? DV’s selection and pricing isn’t rivaled anywhere on the net. Just be sure your competent enough to handle the type of vape mod you choose. Some vape mods can be quite complicated to operate. Let’s take a final look over your order before you pull the trigger. Just a few things to keep in mind regarding ordering from Direct Vapor. Direct Vapor offers a pretty solid return policy. It’s a 15 day policy with no questions asked and no restocking fee. A full 60 day warranty is in place for most products. The exception is for all clearance items, tanks, atomizer heads and e liquids – none of which are warrantied. The Vape Delivery Service also known as Auto-Ship is great for those who don’t want the hassle of manually placing orders every few weeks. By signing up for the Direct Vapor Delivery Service, you’ll receive 10% off your first order and get free shipping. Your free to cancel the service at anytime or change your delivery dates. Above all, Direct Vapor is a phenomenal online vape shop. Their number of quality devices and e liquids is unmatched. Secondly, it’s an American business, operating out of Miami Lakes, Florida. Lastly, they’re at the cutting edge of what’s working in the vapor world. Especially including the top selling e liquids and devices. Direct Vapor coupon savings based on a 20% discount. 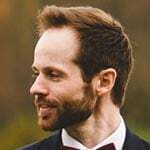 Joseph is a 33-year-old web master who lives in Charlotte, North Carolina. He is a new husband, an avid researcher and the proud owner of a little dog named Oskey. Learn more about the Vapestaff Project.